I’ve been thinking about trust lately. A trustworthy person possesses all four. They have character. They intend to do the right thing and to follow through with it. They have the capabilities to do so. And they deliver on the results. I read the book with myself, others, and God in mind. I looked at how I did with the four cores. I looked at what it meant to trust others based on the four cores. And I thought about how God is looking for people with the four cores. You know, all of us trust someone or something, even if it’s just our own cynicism. It’s impossible to live without trust. Our lives our built on it. Everything we do or don’t do flows from trust. I haven’t always been good with trust. I’ve asked people to trust me when I wasn’t ready. I’ve trusted the wrong people and gotten burned. I’ve trusted in things to give me life instead of God. Perhaps you can relate. The more I get to know Jesus, the more I learn how completely trustworthy he is. Jesus oozes integrity. His intent is always for my good. He’s always capable of delivering on his word. And he always does so. Incredible. Yet I still find my heart drawn to trust in other things sometimes. Like the Israelites, I am prone to essentially say, “Yes, Lord, I trust you completely! You can count on me to be faithful to you!” And then I forget about all that and go to idols in search of what only God can provide. Our actions say a lot about our trust. 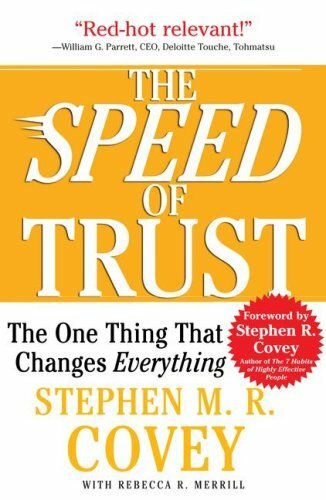 There is a direct link between what we do and what we trust, even when that trust is misplaced. I want to trust in the Lord, not in things. I want to be fully trustworthy, not unreliable. I want to trust the right people, not the wrong ones. Because trust is a big deal.